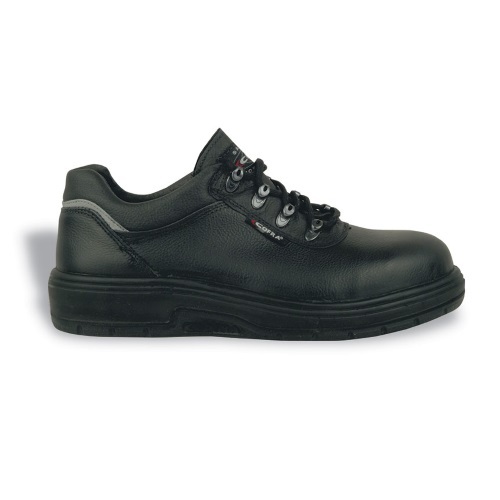 The Cofra Petrol is a black safety shoe with composite toecaps and midsole. The shoe is made from water repellent and breathable printed leather. The shoe also comes with a HEATBARRIER footbed for insulation against high temperatures as well as thermal comfort. The HEAT DEFENDER sole also offers heat resistance of +300 °C (1 minute contact).